This is included as an example of a complex web site storyboard which includes a complete e-commerce and affiliate program along with all of our other performance marketing components. Use this diagram as a reference, it does not require editing. the whole process flow together into a very professional and eye-catching proposal. Every time I have submitted a proposal, I have had someone either ask me who prepared the proposal for me or compliment me on how nicely the proposal was done. I even received a compliment from my SBA counselor." This Complex ECommerce Site System Diagram #1 is included in an editable format that can be customized for your own needs. 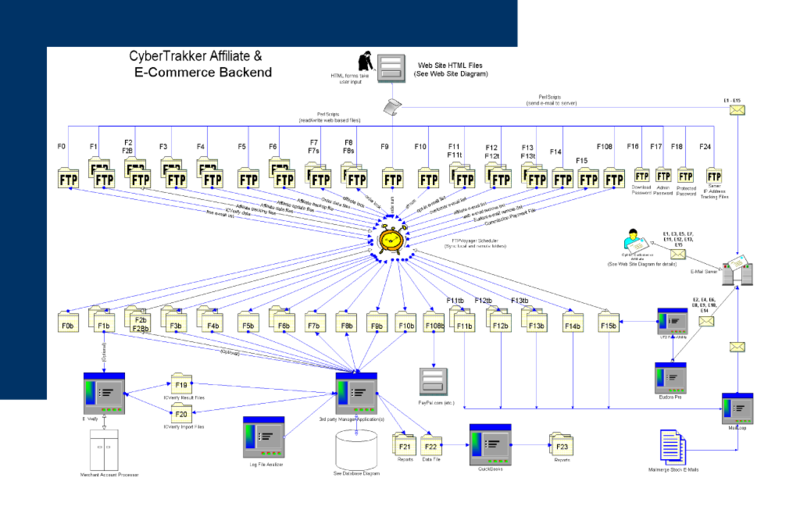 The editable Complex ECommerce Site System Diagram #1 document - complete with the actual formatting and layout is available in the retail Proposal Kit Professional.